Hats are not only worn on ordinary days. There are special hats you can wear on different occasions. Whether you are looking for hats for Halloween, Mardi Gras, Cinco de Mayo, or Christmas, we have hats that are perfect for all occasion! When did people start wearing costumes? There is no exact record but several documents noted that people wore costumes when they celebrate important festivals. People wear costumes and Holiday Hats in order to take part in the festivities. It is also a way to be transported into another reality. Today, we wear costumes for the same reasons. But more than ever, we wear costumes because we want to take part in inversion rituals. According to anthropologists, inversion rituals are times when allow ourselves to let loose, break rules, and violate the strict social orders. Costumes allow us to do things that are considered as unacceptable in conventional social settings. While wearing costumes is important, it is equally important to get appropriate costume hats. So, whether it is Halloween, Cinco de Mayo, or Mardi Gras, we wear costume hats because we want to have a sense of belongingness as we celebrate a particular event. Costume Hats are perfect for special events and holidays. They are decorated with both interesting and iconic designs that will surely put you in the spotlight. If you are looking for iconic costume hats, then you can wear the Uniform and Hero Hats. These hats take on the design of very iconic personalities so you once you wear them, people will know who you are portraying. Add a more festive feel on your costume by wearing the right hats. So, whether you attend a Halloween or a themed party, you can never go wrong with wearing Holiday Hats and Novelty Costume Hats. 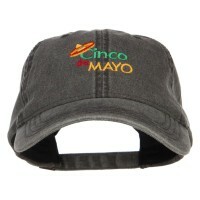 You can also wear Occasion Hats to add flair to any event that you are attending. Whatever the event that you are going to attend, you can be assured that you will be able to find that perfect hat that suits not only the occasion but also your style. But if you are looking for fancier costume hats, then you have many other options that you can try. Why not opt for Dressy Hats? You can wear these hats in many fancy events that you attend. You can also wear a Head Piece and Hat Accessories to achieve the same look.